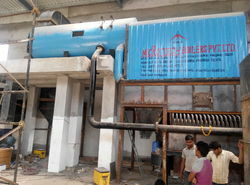 We are stalwarts in manufacturing, supplying and exporting a premium quality range of IBR Steam Boiler Membrane IBR Boiler-Manual Fired that are fabricated under the guidance of skilled professionals, using modern tools, advanced technology and excellent quality basic material. 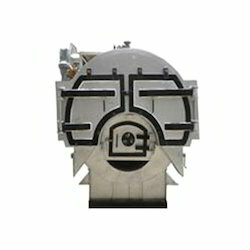 Offered product range is fabricated in strict compliance with international norms and standards. Our valued patrons can avail these products from us at competitive prices. 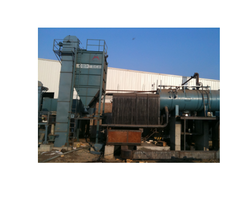 Options: Pneumatic Auto firing system. Range:1 Tph To 12 Tph. 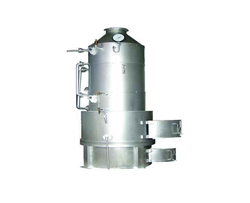 Our offered Steam Boilers is a device used to create steam by applying heat energy to water basically a closed vessel into which water is heated until the water is converted into steam at required pressure. This is specifically designed with use of industry grade components to ensure thermal efficiency, combustion efficiency and fuel to steam efficiency. This finds it wide range of applications in varied industries and can be availed at leading market rates. Our offered Baby Steam Boiler is a resourceful, fully mechanical, instantaneous steam generating range of boilers designed for protected and dependable operations. Moreover, this is a furnace and combustion system to burn difficult heavy oils and offers fuel flexibility between light and heavy oils to help respond to fluctuating fuel prices. Our efficiently designed membrane allows large tube diameter for coil enabling better steam dryness, less frequent de scaling, longer coil life and minimum downtime. Our offered Non IBR Steam Boiler is created by dexterous team of experts using modern tools and advanced technology ensuring highly efficient boilers at our customers' end. This comes in automatic and semi automatic control that the customers can choose from to meet their specific application use. Moreover, these boilers are three pass, smoke tube type in completely wet back construction without any refractory at the rear. 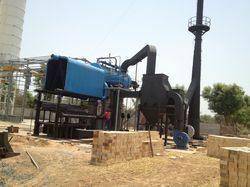 Our offered Biomass Steam Boilers is an attempt towards green thinking efforts using biofuels to mitigate the impact their activities have on the environment by reducing emissions of greenhouse gas. Our boilers are a major development in boiler technology and energy management projects through sustainable solutions for renewable energy and energy efficiency by biomass. Moreover, this is created to reduce carbon, reduce emissions, and reduce both operating and fuel costs.